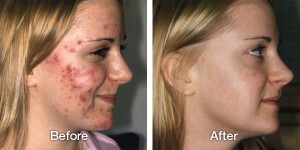 Are you looking for acne creams and treatments? Suffering from acne can be very lonely experience. 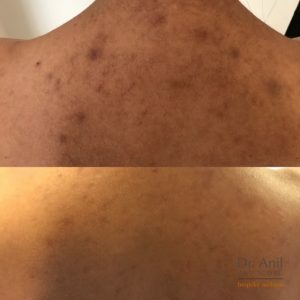 Many patients discuss the serious and long lasting impact on their self-confidence as a result of ‘growing up with spots’. The good news is, there are various treatments available. It is important to select one appropriate to you. Acne occurs when sebaceous glands under the skin become inflamed or infected due to blocked hair follicles. It can appear anywhere on the body, particular the face, chest and back. Blackheads and spots (comedones) appear on the surface of the skin, resulting in breakouts which can leave scarring. 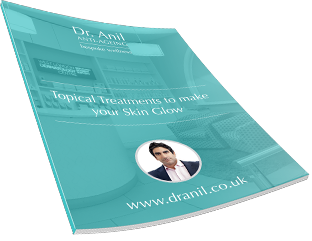 Dr. Anil can offer acne sufferers a number of different treatments to suit their skin types, and to help address those concerns. Acne treatments can range from oral medication and topicals to laser treatments, Dermapen Treatment and skin peels. Acne is very common in teenagers and younger adults. 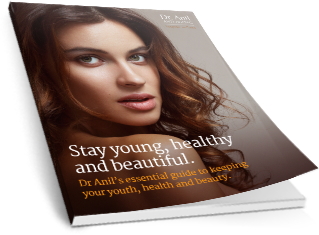 Around 80% of people between the ages of 11 and 30 will be affected by acne. Acne is most common between the ages of 14 and 17 in girls, and between 16 and 19 in boys. Most people have acne on and off for several years before their symptoms start to improve as they get older. It usually disappears when a person is in their twenties. In some cases, acne can continue into adult life. About 5% of women and 1% of men have acne over the age of 25. Patient M came to see me with significant scarring and current acne on her back, having suffered since her teens and tried many different attempts at a solution. Over the last 4 months the patient has used a retinoid based treatment and has recently begun with a pigment cream. The results are clear.